Actors Zach Braff and Nick Cordero from the Tony Award-nominated Broadway play "Bullets Over Broadway" visit the ladies of THE TALK from New York, Monday, May 12, 2014 on the CBS Television Network. 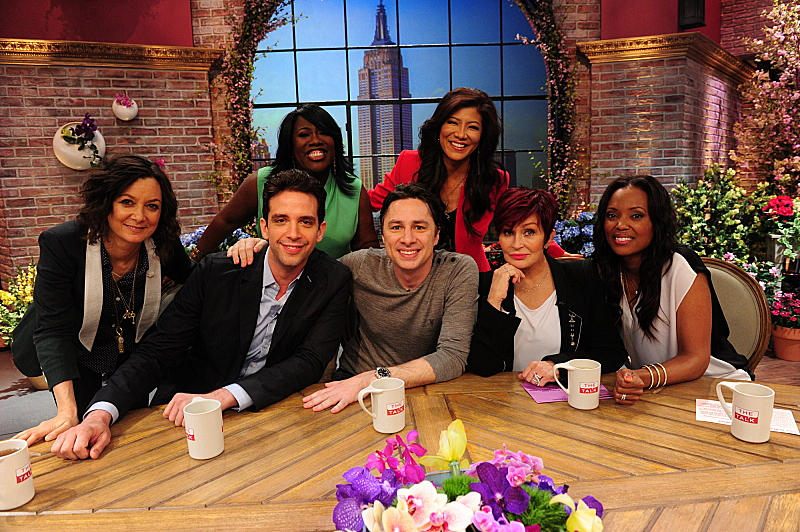 From left, Sara Gilbert, Nick Cordero, Sheryl Underwood, Zach Braff, Julie Chen, Sharon Osbourne and Aisha Tyler, shown. Photo: Heather Wines/CBS © 2014 CBS Broadcasting Inc. All rights reserved.